How many times have you failed your IELTS test? This blog is focused on providing helpful information to assist immigrants who feel that they have been ripped off in the areas of education and immigration in Australia. If you don’t use Australia’s law. Australian laws can’t help you. Why does IDP Education get away with failing so many students? Why get your money back from the tests you failed, if IDP Education refuse to change your IELTS test score? Do you believe IDP Education excessively fail students to make more money? Why do so many people fail their IELTS tests? This blog is for anyone who had failed their IELTS test multiple times. 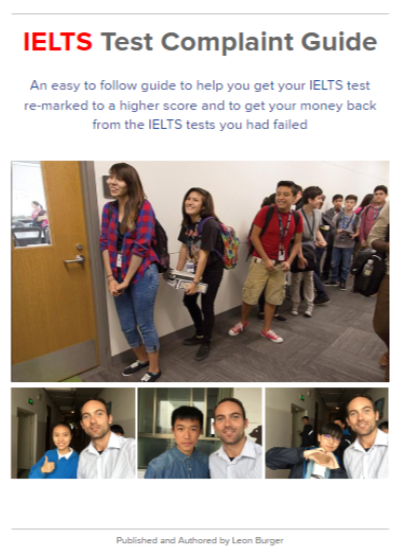 This blog provides helpful and simple information to help you complain so you can get your IELTS test remarked fairly (ideally to a higher band score) and to get your money back from the tests that you have failed. Why the IELTS test is a scam and what you can do about it. I created this blog to help IELTS test candidates complain if they have excessively failed their IELTS test. I have refined the complaints process over the last 2 years whilst helping students. I feel proud to help immigrants who are being ripped off in the education sector in Australia.